Late last week I came into possession of an old AT&T Tilt 8925. At one point in time this was an impressive piece of mobile technology, however I am sure we all know this is no longer the case. 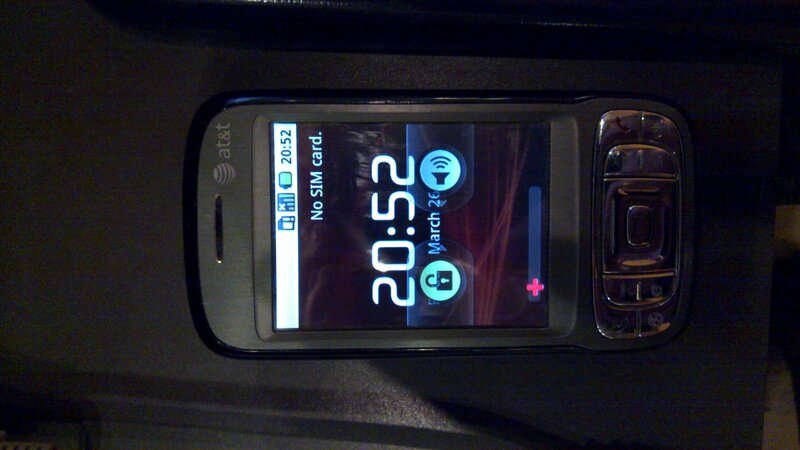 The reason I was given the phone was because it was running Windows Mobile. The device ran slowly with this operating system and suffered from enough issues to cause both my mother and my older brother to get rid of it for other smart phones (Symbian device and an iPhone). The phone itself does not have bad hardware by any means. It sports a 400mhz ARM processor, 128megs of RAM, and 256megs of NAND storage plus a MicroSD expansion slot. If the hardware is not the issue then what causes the device to run slowly? Just as when I receive any computer with a Windows based operating system on, my first inclination is to format said device to some variation of Linux on it. So I hopped on the Linux Answer Machine and quickly found my way to the XDA-Developers homepage. The XDA-Developers community is a fair size group of people that are dedicated to hacking and cracking all things Windows Mobile and Android. The first step on this journey is to HardSPL your device. 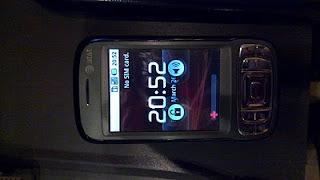 What this does is allow you to flash any ROM to the hand-held. Next, now that we have the device unlocked, we want to update the system's "radio". To do so head over to here and download the latest radio. If you need a hand on how to flash this updated radio - check this out. Don't worry, I had to read through it my first time as well. After you upgrade your radio we need to get that pesky Windows Mobile off of the phone and get it actually booting Linux. To accomplish this you need to go download the proper .nbh file for your Kaiser and flash it. Now you have some choice. There are two different variations of Android I personally found worked best on my HTC Kaiser (and I tried more than a few). The first is Eclair. Eclair is based on OpenEclair and gives you a variation of Android 2.1 on your Kaiser device. Under Eclair I had working call/text/multimedia messaging/data/android applications - however no matter what form of patches, I found around the Internet, I applied I was not successful in getting my device's wifi, bluetooth, or camera to work. I also found that this newer version of Android tended to run poky by comparison (still faster than Windows Mobile however) on the Kaiser's older hardware. My current Android build of choice for my Kaiser, and the second one I would like to recommend here, is Myn's Warm Donut. Under this build I have a fully functional Android system on my Kaiser. Warm Donut is a variation of Andriod 1.6 for your device, this version is quite snappy/responsive. Which of the two builds you would like to use is up to you - personally I recommend trying them both and seeing which one you enjoy more/suits your needs. Anywho - the next step you take after downloading your preferred flavor of Android is to extract the androidinstall.tgz file again to the /andboot folder on your MicroSD card. Next, pop the SD card into the bottom of your phone and hold down the volume up or dpad center as the device boots. The select "install" from the menu and it will extract the install package and create the necessary files to boot Android on your phone. The last thing I would like to mention, is that if you are using Warm Donut and would like Wifi/Bluetooth support on your device you will need to apply the patch found here. To install the patch it is the same as installing the base system, extract the androidupdate.tar to the /andboot folder on your MicroSD card, boot the device while holding the proper key, and this time select "update" instead of "install". The only extra step here, is that after you apply the update also need to select "fix permissions" from the menu so the system will work properly. Also, if you are running Donut, I found that during the initial system start the setup wizard would crash on me the first time I tried to log into my Google account - don't panic if this happens to you. Simply reload the setup wizard and the second time I entered my information it worked just fine for me. Wifi/Bluetooth not Working - If you are using Donut check two paragraphs up for instructions on this. If you are using Eclair check the main Eclair thread for suggestions, lots of people doing debugging there. As I said I have yet to be successful at getting my wifi working under Eclair. Microphone Non-Functional - Try a different kernel (zImage). The first kernel I used had everything working aside from my microphone. Colored Lines/Discoloration on Screen - Make sure you downloaded the proper .nbh file for your device. If you have the wrong one it may cause this issue. Don't worry, reflashing the new .nbh file will not affect any of your Android data. Function Keys Miss Mapped - See Colored Lines/Discoloration on Screen. Same solution. Note: I do not take credit for the method or files presented here, the hardworking people over at XDA-Developers deserve all the thanks. I simply assembled this guide for others who may be overwhelmed at all the choices when first trying to put Android on their Kaiser and for myself as a reference point in case I need to setup another device in the future. This is Elive's slogan. As I am sure you can guess, it is a Debian based distribution that uses the Enlightenment window manager. I always like to jump in with both feet when it comes to playing with technology, so to get the best feel for what Elive is and how it works I downloaded the LiveCD and installed it as the primary operating system on my Sager Laptop. Booting the LiveCD for the first time gave me one of those "wow" moments. This was the first time I had ever used a distro that used the Enlightenment window manager. It is stunning, to say the least. (minus my function+mute, all of my hardware worked OOTB). Taking a step back a moment, I'd like to mention the start process for the live environment. I like the way Elive boots up. It asks a few simple questions about your system at start up that help things to run smoothly. By asking for resolution, it allows Elive to have a seamless X loading (no black flickering or things of that sort like most distributions). The live system also loaded the appropriate closed source driver for my nVidia card on its own (I know this is a turn off for some FOSS people, but I like to use my hardware to its full extent). Booting from a flash drive using the live system is smooth and flawless and the UI is easy to use. Located at the bottom of the screen is a dock bar for loading commonly used applications. Just to the right of this is a dock bar for battery, wifi, and audio controls. In the upper right hand corner of the screen, you can switch quickly between your multiple work spaces. (additionally, alt+fX keys switch between each of the twelve desktops). Located on that handy dock bar is the installer button. Before I go any further, I feel I should mention something that sets Elive apart from many other distributions (and keeps it from making the top ten on DistroWatch IMO). It is, that in order to install Elive on your system you have to acquire an online "installer" module. How does one obtain one of these modules? By making a donation to the project of course. That is right: You have to pay to install Elive. It's not a large cost. For a minimum of 15 dollars (USD - payed via paypal) you can receive the installer module. I logged into paypal, sent the funds, and was on my way. Other than a brief system hang at one point in the installer (which only took a moment to recover from) the install went flawlessly. Again, I would just like to mention the unique feel the installer has (like the rest of the system). A particular feature that is kind of small, but worth mentioning, is the descriptions the installer has for each of the file-systems before formatting. Like I said, small feature, but useful, I feel, none the less. Equatable to Window's system recovery mode, "Nurse Mode" allows the user to perform a number of recovery/restore options on the system. 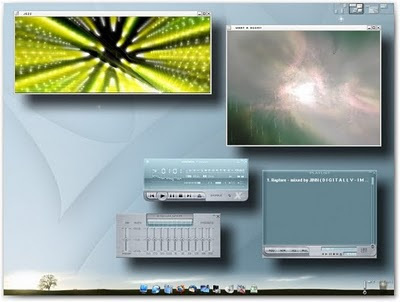 Among these is a one click install for different system kernels, among which include a "highmem" kernel to allow up to 64gb of RAM on the 32bit operating system. After a restart, I was quickly loaded into my Elive system. Using enlightenment as a window manager took some getting used to at first, but after a couple of hours I had grown accustomed to it, and I must say, I like how enlightenment handles itself as a whole. There are only two issues I had with Elive. The first was some stability issues (Elive uses a mix of e16 and e17, the latter of which is the testing branch of enlightenment), and the second was purely visual - there was no way I could easily find what appeared in my applications menu (all the guides I found online were for e16 and the files they referenced did not exist on my Elive system). Beyond this, I also experienced this bug, which was rather annoying. Two final notes about the system. I'm a gamer off and on and I run Steam through CXGames on my Linux system. Under all other window managers I have used thus far, the Steam GUI has this pesky habit of "jumping" from workspace to workspace so it is always visible in your active one (regardless of its settings). Under enlightenment all my Steam windows stayed where I left them. And lastly, while it is an easy fix: by default there are no source repos enabled under Elive. Meaning apt-get build-dep does not work OOTB. The default software configuration on Elive is strange, to say the least. For starters, there is "demo" software installed on the system. Very "Windows Like" IMO. No open office. Abiword is installed, however I prefer the former of the two. There is no pidgin or multi-messenger client by default, but there is a Linux "amsn messenger". A fun idea is that solitaire is installed by default and it auto-loads it for you to play when you begin the system install. Lastly, I use Google's Chrome browser on all my systems. Chrome did not play friendly with enlightenment. It did not want to add itself to my application launcher at the bottom of the screen and it had no idea what to do with any of the files it downloaded by default (.deb files didn't open with gdebi and "open containing folder" out-right failed). Also worth mentioning is that the Elive community as a whole is rather small(which is a shame, it's a wonderful distro). The two threads I posted are still unanswered some three days later, so if you do run into an issue with the system, best of luck finding help solving it!) Had enlightenment been a bit more stable as a window manager Elive would have stayed as the staple distro on my Sager for some time, but as of now my Sager is moving back to Debian Squeeze. All in all, if you have never personally used the enlightenment window manager, I highly recommend you, at the very least, download the Elive LiveCD and give it a test drive. Once e17 fully matures, Elive will easily be one of the best distros out there. In one of my education classes this trimester we are getting to play with wonderful pieces of technology called "SMART Boards" Essentially a SMART board is an interactive white board, they are typically used in classrooms or occasionally in business meetings (if you have never played with one before I highly recommend you check them out, very fun). At any rate - we all know that hardware is fairly useless without good software to make it function properly. My teacher informed us the first day of class that the school would provide us with copies of the SMART software so we would have a chance to learn to use the SMART board fully. I'm been using Linux for some time now and I'm going to be honest, when I heard this I thought to myself "Well there is one more thing I'll have to run through Crossover or boot up the VM to use." What can I say: I'm a cynic at heart. As such I was pleasantly surprised when I navigated my way to SMART's website and discovered a fully cross-platform application set for interacting with the SMART board. When I clicked through to the download page for the latest version of the SMART software I found a single package download link for Linux. Again being a cynic at heart I was expecting to have to go through something like this again once I opened that tar.gz package. After the 22megish file archive finished downloading, I extracted the contents and much to my surprise I was greeted by a single file with the extension ".package" Curious, I had never seen a file with this extension before. Being a "jump in with both feet first" type person when it comes to technology I gave the file a double click, doing so caused Ubuntu to greet me with a message I had seen many times before: "The contents of this file appear to be an executable text file what would you like to do?" I went ahead and selected "run contents in terminal". All I have to say is: Man was I blown away. What proceeded to run on my computer was quite possibly the most seamless non-distro specific package installation I have ever experienced. While the installer worked it's magik I did a quick search on the Linux Answer Machine as to what exactly this ".package" file was. I found it was created by a packaging system called "Autopackage"
Autopackage is a distro neutral method of packaging up software for distribution to the Linux platform. It provides a sleek GUI for doing so and even installs itself from the first .package file you run on your system. Autopackage is designed to install and manage non-core libraries and software on Linux systems with ease. Upon further research I discovered that the Autopackage project had been around for some time now. Wait, there has been an easy method of packaging software for any Linux Distribution and I have just now discovered it some years after it's creation? Why is that? Something must be wrong with it or defective for this to be the case, right? Unfortunately this is one of those more gray Yes and No. Type answers. On the yes aspect, Autopackage works - and works well. It allows a software developer to only have to maintain a single package (or two if they want to support 64bit platforms) and rest assured that it will work regardless of the Linux environment of the user. It makes software installation on Linux as seamless as it is on the Windows platform - which is something Linux needs if it is going to gain support from commercial software developers. On the no end of the answer, many Linux users will point out that installing something through Autopackage means that the software installation circumvents your distro's package management system. Meaning said installed software will need to keep track of it's own updates (Autopackage keeps track of the software's components for removal purposes). Now, perhaps you like the idea behind Autopackage, but you don't care for how it handles certain things. There must be some other choice out there for a universal Linux software installer right? Of course there is! The "MojoSetup" installer allows for a similar easy package installation method for Linux software. The two most notable differences between the two are that Mojo relies on each package to keep track of it's own files for removal purposes while Autopackage provides a central location for managing all things installed from .package files. This fact leads to the other difference about the two. Autopackage needs to install itself before it can function on your system, MojoSetup runs fully from the install .bin/.sh file and does not need to install any additional components on a user's system to function. While the second of these is really a minor detail for most people I feel it is worth mentioning. Finally I would like to mention two other alternative application installers for Linux. Zero Install is a net-based method for running applications on your computer without having to actually install the application itself and Klik is a method of compiling packages into a compressed archive that can later be mounted and run again without any installation. Know of another piece of (non-package manager) software that enables a distribution neutral, friendly, application installation that I didn't mention here? Drop a comment below so I can check it out! These numbers from W3Counter seem to be the middle ground of the four sources for OSX, however note the fact that their count for the Windows Operating system is much lower and their count for Linux operating systems in much higher. One thing to note about these numbers is the much larger "other" category. Even further curious I find is that Google's Android operating system, is thrown in with "other" on W3Counter even though it is a derivative of Linux. Care to guess which operating system that data set is skewed towards because of the page content? Beyond just looking at the source of web statistics of operating systems, when it comes to the global market as a whole, you have to consider the countless systems that are offline or are rarely connected to the internet. Unlike OSX where you can count the systems by the amount of Apple hardware sold or Mircosoft's Windows where they can count the number of activations, a single Linux ISO download can account for multiple (sometimes even hundreds) of offline (or online) installations. Truth be told, will we ever truly know the precise market share of each operating system? No, we will not. From my four sources here (and others you can find around the internet) I'm inclined to believe that currently Windows floats somewhere around 88%, OSX around 8%, Linux somewhere close to 2%, and the rest can get lumped into that wonderful "other" category. What do you think? Know of another credible source for market share statistics regarding operating systems that I didn't mention? Let me know! So the devil called me this afternoon and said they where having a snowstorm in hell. All I have to say is: Microsoft has to quaking in their boots. For some time Microsoft's Windows operating system has been the standard for gaming on the PC. With Valve making the push into OSX this means more than just trouble for Microsoft's operating system. It also means their famed DirectX API that is Windows only may be in jeopardy. I say this because as stated in Valve's official announcement in order to port their engine/games to OSX they will be reimplementing them in OpenGL. After the porting of these past released source games Valve plans to treat OSX as a "first tier" operating system. Meaning that all future releases of source games will occur simultaneously for OSX, Windows, and Xbox 360. What brought this seemingly sudden announcement from Valve? Well a few months back a rumor had surfaced that a lead Steam developer had posted looking for people with experience porting Windows software to OSX and Linux. Yep, that is right and Linux. While there is still nothing official about the latter of these two operating systems from Valve, all I have to say is that the porting of Source Engine to use OpenGL only makes the eventuality of them running without emulation on Linux much more likely (not to mention in the mean time Windows games that run under OpenGL tend to perform better under Wine). An easy tool anyone can use for piecing together audio and video. Openshot's GUI is broken down into three main sections. At the bottom of the screen is a tray area where all of your project's tracks are stored. There is a slider for zooming in and out so you can get either more precision with the section you are trying to edit or see a more of your work at once. There are six different tools button at the top of the tracks section, they allow you to add additional tracks, place markers, rearrange, trim, resize, or snap clips together. The second section of the Openshot GUI is the preview window. As you click through the different sections of your presentation an image of whatever part you have selected appears in the preview window. The preview screen also allows for the live playback of what you have put together thus far. I had the video aspect of the preview window lock up on me a couple of times during my use with Openshot however clicking to a different part of the presentation and clicking back quickly got things back on track. The final section of the Openshot GUI has three different tabs in it. The top most displays any media you may have imported to use in your presentation (movie clips, pictures, audio tracks, ect). Just below this tab is one that offers a variety of transition effects, there are around thirty to choose from so a good selection to say the least. The third and final tab is effects/overlays you can apply to videos and images, there are around thirty of these as well and they range from a black and white effect to a fun "wave" blur. Openshot allows for the saving of project files while you are putting together a lengthy project and once you are done with your presentation Openshot supports the exporting to a variety of different media types, including avi, mp4, m4v, iPod, and many others (depending on what media libraries you have installed on your system). Is Openshot perfect? No it is not, but then what piece of software is? All in all I think Openshot is a fantastic tool and as of Ubuntu 10.04 it will be included in the default repositories for the world's most popular desktop Linux distribution. Running a non-Ubuntu based Linux distro? Not a problem. So long as you have python 2.6 and all of Openshot's other dependencies installed on your system the Openshot developers have a created a very sleek python installer script that makes it as easy to install as running python setup.py install as super user. Did I miss something you like about Openshot? Maybe there is something you don't like that I failed to mention? 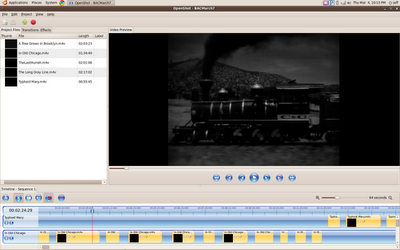 Or finally perhaps is there another Linux video editing tool I have yet to discover you would care to share a link to? I offered to put Linux on her laptop. She had used my many computers which all run various forms of Linux several times and was open to the idea. After reassuring her that none of her data was going to be lost by installing Linux and in fact I would even leave Vista on the computer should she want to go back to it, she was ready to let me get Linux installing on her laptop. Thankfully she had a 320gig hard drive in the system, most of which was unused, so I was able to give Linux 80gigs to reside on. For a long time I have always installed Ubuntu on friend's computers who where interested in moving away from Windows, however as I recently stated I now feel Linux Mint is better suited for this situation. Thankfully I keep a 1gig flash drive in my laptop bag that boots a Linux Mint LiveCD (Created using unetbootin - if you have never installed from a flash drive before I highly recommend it, much faster than installing from a disc). Around half an hour later I had the operating system fully updated and installed. I spent another five minutes creating a mount point and fstab entry for her Windows partition. And lastly for the sake of easiness I created symlinks in her /home directory so she could easily access her pictures/documents/music stored on the Windows partition. Then came that fateful question: What about Microsoft Office? Personally I had grown up using Office 03 for a short bit and then mostly OpenOffice.org, so when I made the move to Linux just having OpenOffice on my own systems was fine for myself. She was used to the ribbon setup of Office 07 though, beyond that she also had all of her calender dates residing in Outlook and she used OneNote a few times a week. The solution? Thanks to this wonderful GUI front end for the Wine Project, Office 07 can be installed under Linux just as easily as on Windows. In fact, after I had installed Crossover on the system and she saw the GUI she took the computer from me and installed Office 07 herself because "anyone can follow an installation wizard". Which is very true, the point of the Crossover products is that you don't need to be a Linux Guru or even a computer tech to install Windows software on Linux and it does a fantastic job to this end. Is Vista gone from her laptop? Not yet, but maybe someday (Move Media Player not installing on Linux or through Wine is the last hangup). She is booted in Mint more often than not and has found her way around the Ubuntu Software Center to install Frostwire (among other things). She also used the Linux answer machine to hunt down the driver for her Cannon MP190 printer when it was not auto-found by the printer installer on Mint.